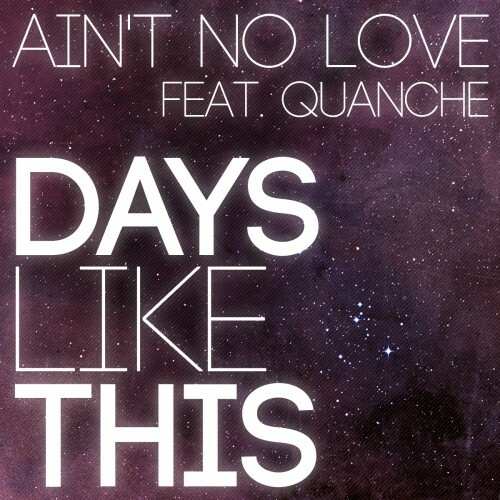 Hot off their trip to Austin, Texas for SXSW and the release of Shine, Ain’t No Love collaborates with brilliant minded Quanche on a genre-less release titled Days Like This. The juxtaposition of the different vocalists combined with the naked soulfullness of Saidah Conrad and the slowed hook creates an ambient yet aggressive sound, oddly perfect for mourning or celebrating. Check out their Thght Process Q & A below. Beanz-So far selling out the belmont that was huge. Saidah Conrad-Staying together longer than any romantic relationship I’ve ever had. 1990-I don’t really converse with people like that, I don’t really hear many doubters either. Saidah Conrad-I don’t see haters. And I most def don’t talk to haters.